It took about all of two days last week for Brockel’s Chocolates to sell its entire 15-pound supply of Nun Better, an almond and caramel cream-filled dark chocolate drizzled with white chocolate that was created in an effort to raise money for the K-8 school being built for Billings Catholic Schools. The chocolates represent just one way the Billings Catholic Schools Foundation is closing the fundraising gap on the remaining $3 million needed for the school. 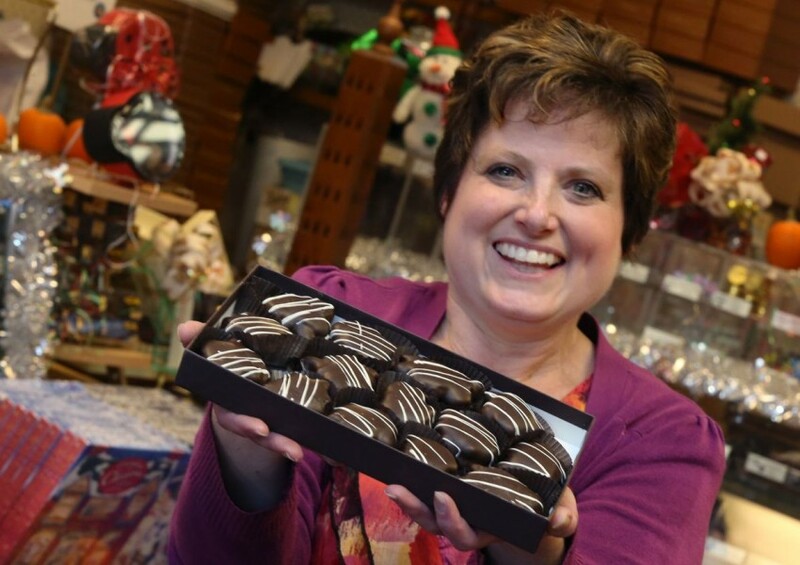 Jaci Brockel, one part of the Brockel family’s chocolate and candy operation and a Billings Central graduate, said that 25 percent of sales will go toward the new school springing up on Colton Avenue. More of the handmade chocolates probably won’t be available until after Thanksgiving, but Brockel said the store will continue to accept advance orders. A pound is $28, and it’s available boxed, wrapped and topped with a handmade bow for $30, Brockel said. As the Brockels’ continue to do their part one sweet treat at a time, Haider said the community of Billings continues to chip in to fundraising efforts. Construction for the new K-8 school is on schedule and on budget Haider said. But once it’s finished, the classrooms will need to be furnished. At the end of October, the uniform dress code was dropped and jeans were given a green light for Billings Catholic Schools K-8 students who donated in order to participate in the first “Furniture Friday” fundraiser, Haider said. Furniture Fridays will be held the last Friday of every month with exceptions for holidays and days when school isn’t in session, Haider said. The next one will be Nov. 18, she said. The event raised around $1,500 and the goal is that successive Furniture Fridays will raise enough to cover the cost of an entire classroom set of desks, chairs and other classroom needs, Haider said. Haider said the Billings Catholic Schools Foundation has also continued to reach out to alumni, parents and other potential donors through a variety of platforms. She hopes they can be done fundraising by July 2017.